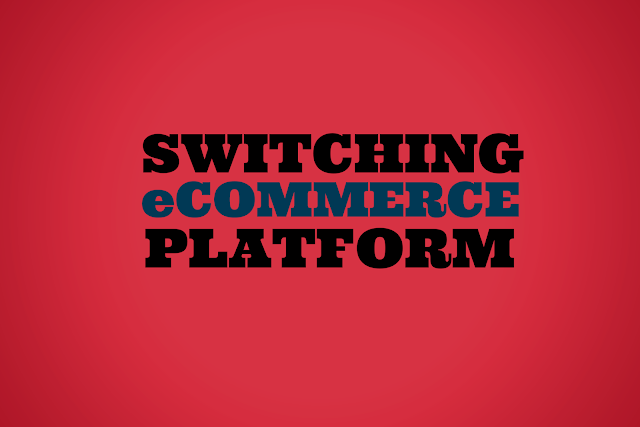 There are several reasons that can prompt an ecommerce business to switch platforms. As a company grows and conditions in the market change, a business may find the need to replace an entire platform to stay competitive. However, implementing a new platform can be expensive. While there are relatively affordable options, this undertaking will still require financial and time investment. It also has serious risks to your business. Therefore, it's important to execute your plan carefully. If you’re able to do this, the benefits of implementing the right ecommerce platform includes efficiencies in your operations and revenue growth. On the other hand, mistakes in choosing and implementing a system can mean the end of a business. As a merchant, it is crucial to give this undertaking a serious thought. Shopping cart: For managing customer registration and facilitating checkout and payment. Content management system: To manage both product and non-product related content including text, images and videos. Search function: A vital part of online shopping that directly impacts the customer experience. Customers demand a quick and easy way to search for what they need. Order management: For processing orders from start to finish, including fulfillment and shipping. Payment systems: Support for different payment options including credit cards, debit cards, PayPal and other gateways. Inventory monitoring: For keeping track of product availability. Business intelligence: Collect data and create reports on performance indicators. Why Should You Change Your Ecommerce Platform? One of the most common reasons to change platforms is to enhance the experience of your customers when shopping at your online store. This could mean making it easier for customers to search for products and navigate through your site, faster loading of web pages, better quality of graphics, a simpler checkout or dynamic product landing pages. Nowadays, many are considering changing to an ecommerce platform that can handle responsive designs to support mobile shopping. It may be that you need a more feature-rich solution because of growing business opportunities such as the need to add multiple sites or micro sites. An increase in inventory or sales channels can also trigger the decision for a platform change. On the other hand, poor performance can also call for a complete platform overhaul to improve aspects such as average order value, conversation rates, search results and bounce rates. When your current platform is already obsolete or cannot support your growing business, then it makes sense to change to a scalable platform. If you require certain components such as customer management to be integrated with your website, then you need to use a platform that will allow this. If you're looking to cut costs, it is smart to upgrade from a traditional ecommerce platform and invest in one that does away with separate hosting services and expensive hardware. Using up resources such as time and money that can be allotted to your core business. Your business process may be impacted when you implement a new platform. You will likely need to spend time on training your staff. Changes to your store's URLs will affect traffic to your site so be prepared to lose some at the start. Unexpected problems during an integration project that can cause you to go over budget and experience implementation delays. Plan for these occurrences. Choose the right ecommerce platform for your need. There are many good free & paid options available, choose wisely. Build the best ecommerce features for your customer. We have some key tips to create an awesome ecommerce store. Save The URL Structure of current website. This is key to regain traffic on new platform. This will help you setup all 301 Redirects easily. Backup the Current store database. Backup all related images and video files. Backup traffic analytics reports and important stats. Setup a test store before moving your domain / website to new store. Perform rigorous testing on new store before switching. Monitor 404 Pages for Few months and fix using 301 Redirects. Page not found errors are un-avoidable therefore keep a watch on them with your analytics and fix them quickly to avoid search engine ranking problems. Integrate Web Analytics into new platform to ensure things are working fine. Ask for feedback from users about new platform. This is best way to know if things improved or got worse. Before switching platforms, you must have a clear vision and ecommerce strategy where you want to take your business in the near future. Develop specific goals. Identify how you will measure success. Look at your existing platform and your company's performance. How can a different system help your company make the most of its strengths and improve on its weaknesses? By answering this question, you will come up with specific requirements for a new ecommerce platform, including what you need to enhance customer experience and system function. It is also a good idea to speak with other ecommerce merchants about their own experiences. Find out what solutions are available within your budget and what you can realistically implement and support. Lastly, research potential vendors and engage them to evaluate their solutions. Make sure to define your business goals and requirements from the beginning. Although it is possible that they will change once you explore different options offered by vendors, be careful that you will not be swayed too much from your original purpose. Do not try to do it without help of experts. You can find tons of affordable ecommerce experts and website designers on freelancing websites.